Saama conveys an important message – she wants everyone to know how caregivers can help girls to reach their full potential by giving them an opportunity to shine. 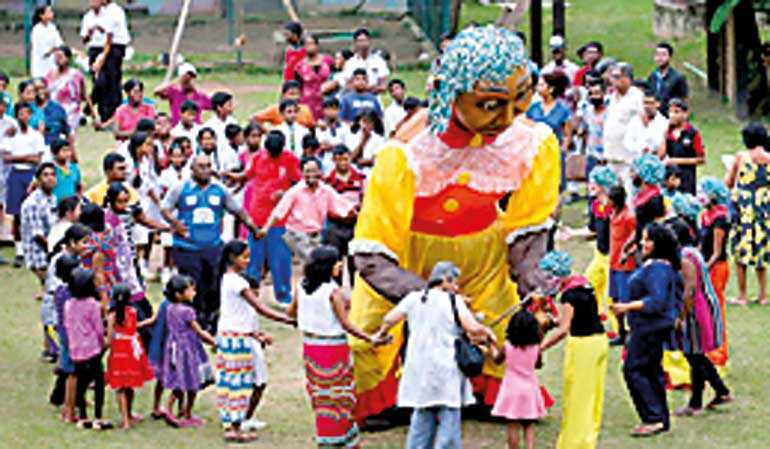 The Little Girl Giant Puppet is a collective creation of MJF Charitable Foundation, Power of Play Inc. and Compania Pirata which introduced puppetry as an income generation method to youth with the hope of encouraging girls, boys, women and men to raise every little girl to be the biggest giant she can be. Little girls can get inspired by the extraordinary life of Saama, a curious girl who grows up with all the ‘do’s’ and ‘don’ts’ in society, yet follows her heart and conquers great heights. True to her nature, Saama depicts the strength of girls who aspire to overcome their challenges and triumph against all odds. Sponsored by the ‘Voices and Choices’ grant of British Council Sri Lanka, ‘Why? Saama’ is a play which aims to generate an important dialogue around social issues of gender, self-confidence and courage. In July, Saama travelled around the island, meeting students, teachers and parents in primary schools and asking them questions which brought light into many social norms. Saama challenged the adults around her to question the value of the standards we impose on children growing up in Sri Lanka today. 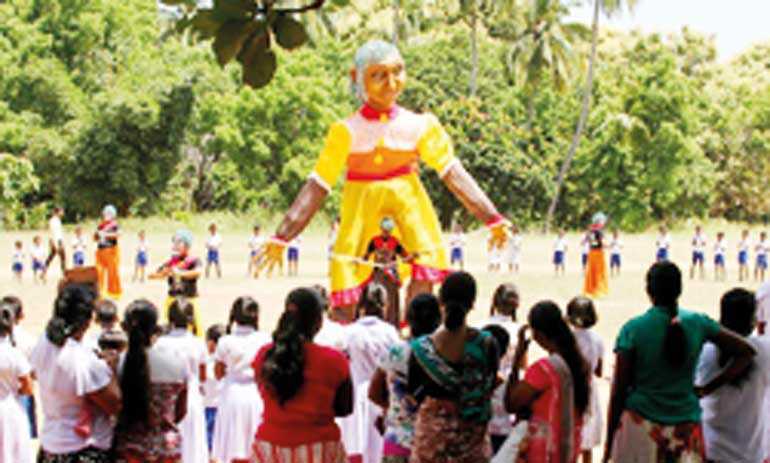 The giant puppet visited Sirambiadiya Kanishta Vidyalayan in Puttalam – one of most challenging locations for the performers as they had to perform outdoors with multiple distractions. 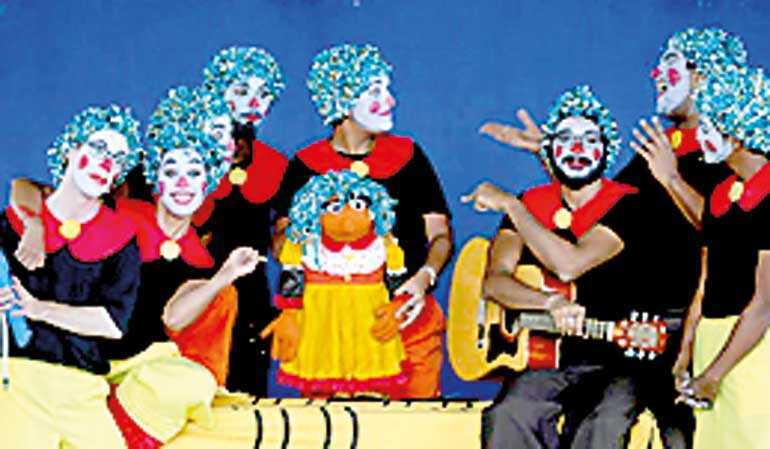 Sevalanka collaborated with the Ceylon Kaffir community in Puttalam to organise this event and keep the kids enraptured throughout the show. Performed beautifully in the form of puppetry and accompanied by original live music, the play is mostly recommended for preteens, teens, youth and parents who are bound to connect with the characters through the powerful narration. “I loved the way Saama befriended her fears. The giant puppet was very creative and it was steered very cleverly. The tree climbing scene, the bus conductor scene depicted something every one of us faces in the streets on a daily basis. The rude calling during the tree climbing scene, the abusive scene of Sadun’s father showed something that is going on in most households today,” said a student in grade 11. “The drama was presented in a very creative and well-thought-out manner. The giant puppet was very creative and the students loved it. The play helped students by informing them of the day-to-day challenges they will face and passed the important message that men and women should be given equal opportunities,” said teachers. Saama is a little girl who loves to collect questions. At home, in school, on the road – wherever she goes, she finds questions for her ever-growing collection. From the simple to the profound, Saama’s questions provided a good platform to talk about the impact of gendered expectations on choices, friendships and family values. 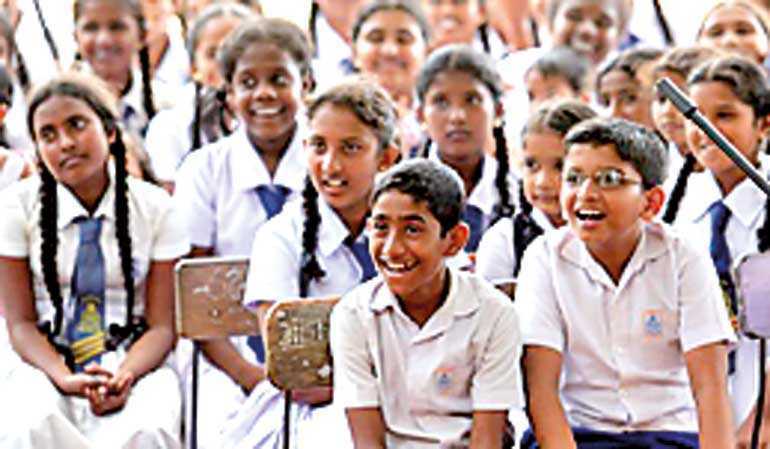 From girls who climb trees to boys who express their emotions, the play featured so many characters and scenes based on real life stories and has been seen by over 2,000 primary and secondary school students across Sri Lanka. The play highlights the many ways in which culturally ingrained ideas about appropriate behaviours for males and females continue to impact a child’s life. Accepting gender stereotypes and roles can often have longer-term negative influences on children’s beliefs attitudes and future behaviours. The play was engaging. The questions that were asked during the play was clarified and answered very clearly for the students. The majority of parents in the audience believed that little girls and boys should be treated the same. However, there were some complexities in the findings, as parents may also subtly reinforce traditional gender stereotypes and differential treatment of girls and boys. While many parents of young girls were more comfortable with the idea of them engaging in activities such as climbing trees, riding bicycles and flying kites, parents of young boys had lower levels of comfort in regard to their sons expressing their emotions. “On a personal level, I found the entire play very relatable. The climax was phenomenal. I believe that everyone in the audience, both young and old felt motivated by the message at the end. In our culture, young girls are brought up like delicate dolls, sheltered and protected. Most often, they are rarely given the chance to follow their passions. There are too many barriers for a girl to move forward in her life and reach her full potential. When Saama conquered Mount Everest despite the hardships she encountered, it gave away the message that anyone can rise and win life. I loved that. This play was a very simple way of passing an important message to the society,” said a female filmmaker in the audience. The survey also revealed that the majority of parents want to be equally involved in their children’s lives and support their aspirations. Saama hopes to join them by enabling parents to practice and promote greater equality in caring for children because there are so many little girls like Saama who are looking out for the next adventure and boys like Sandun who are allowed to have feelings, too.